A quick post to show you how I decided to do my nails for NYE. 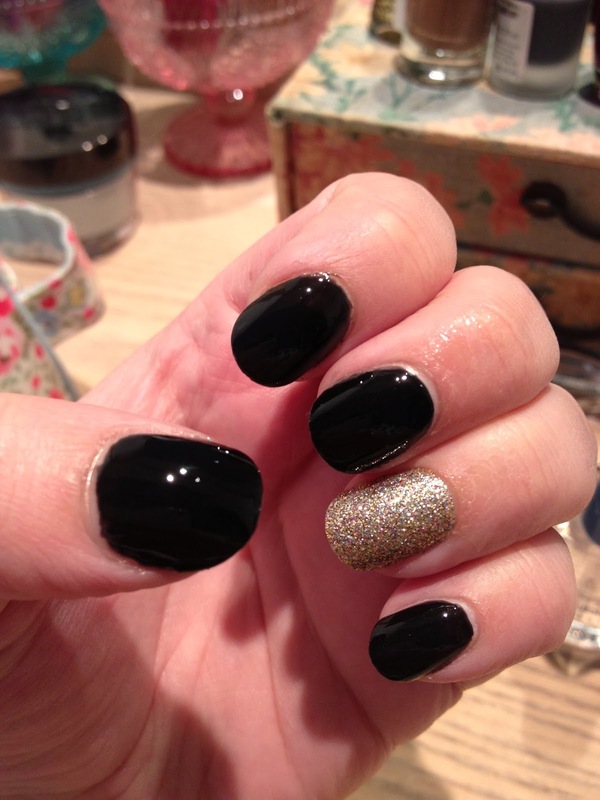 Black and gold is my faveeee colour combo and I wanted to combine a classic black mani with a bit of a nailjazzle. 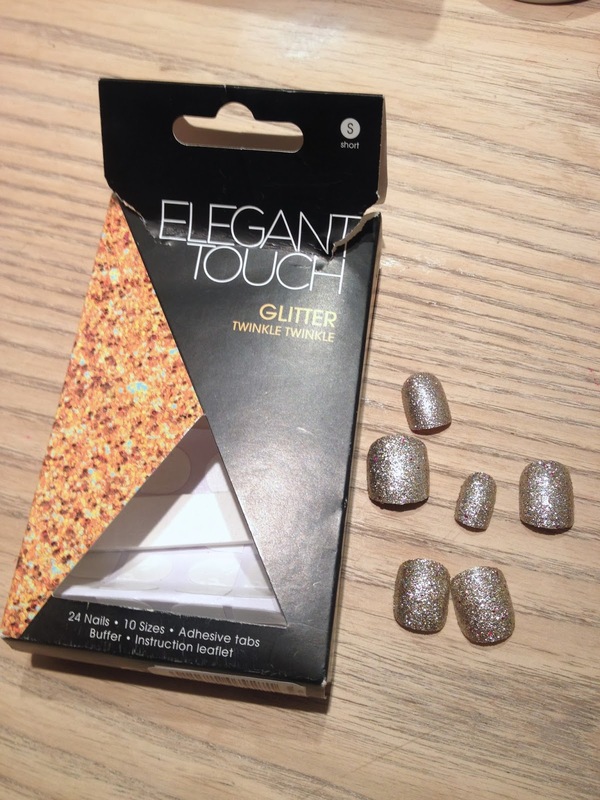 That's possibly a made up word but lets go with it, its like vajazzle but for your nails. I love a bit of nail art, I can't do all that amazing stuff but this is my attempt at a fancy set of digits. I used false nails for both the black and gold looks. Firstly I used Elegant Touch Totally Bare Square Nails, picked out the correct sizes, glued them on using Nailene Ultra Precise Nail Glue and then filed them down to my preferred shape. The little files that come with the false nails are great and I always save them to use again. The set of nails does include a mini bottle of glue but I really like the Nailene one. After the nails had dried, I painted them myself using Barry Ms 'Black' polish. I LOVE the consistency of Barry M varnishes and use them time and time again. For £2.99 you can't go wrong really. The black polish is reasonably shiny but I decided to add a top coat to keep the varnish in place and to make them super shiny. I used Sally Hansen Double Duty Base Coat which doubles up as a base and top coat and I find it's good to use it when you are giving your nails a rest from nail polish. For the accent nail, I used Elegant Touch Glitter nails and these come with adhesive tabs that are in my opinion super shite so I used my nail glue again. I stuck them down and filed them into the shape I like. And voila ... my nails are done! Hope this has inspired you to try false nails. With the nail glue I use, they last me over a week. If they do ping off, just use one of the spare nails from the set and glue it back in place. Have you used false nails before or is it not something you'd bother with? Maybe you are a gel/shelac/acrylic girl for life?